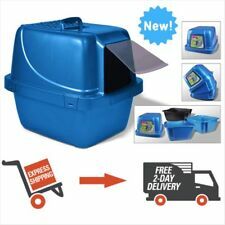 Van Ness Products Pureness Covered Cat Litter Box, Extra-Giant, 1 Box This Van Ness Xtra-Giant Covered Cat Litter Box has an enclosed design. This enclosed cat litter box has an odor and stain-resistant finish and an easy-to-clean surface. (Guam, Puerto Rico, Virgin Islands, etc.). Check-Out Now! 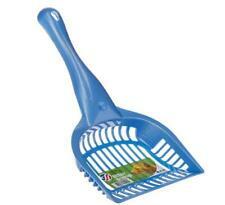 Vann Ness Regular Litter Scoop. Giant Cat Pan Liners - 8 Liners Per Box. Fits: Cp3 Giant Cat Pan Cp6 Enclosed Pan Cp66 Sifting Enclosed Pan Box. Easy to clean and Assorted Colors. Note : Congratulation ! Compatible with all enclosed cat litter trays. Colours may vary. Number of Servings. Serving Size. Van Ness Auto Waterer for cats and small dogs features a spill-less valve, removable top for easy cleaning and is dishwasher safe. The clear smoke finish on container allows for easy viewing of water on hand, handles on side for easy pick-up. High polished finish that is odor. Stain resistant & easy to clean. Stain resistant and easy to clean. Give us a shot and we will make sure that you will look to us again! You're already purchasing the item. Give us a shot and we will make sure that you will look to us again! Item model number: N/A. You're already purchasing the item. Product Overview. The Van Ness cat scratch pad is made from 100% recycled corrugated cardboard. Single Scratch Pad - Item No. Ideal for cat owners who want to protect their furniture while fulfilling their cat’s natural instinct to scratch. Ideal for cat owners who want to protect their furniture while fulfilling their cat's natural instinct to scratch. Includes usda certified organic catnip grown in the usa. Made in the usa. Check-Out Now! (Made in the usa. Check-Out Now! Guam, Puerto Rico, Virgin Islands, etc.). Pureness small cat litter pan. Ideal for kittens who benefit from easy entry and ebyit. High polished finish that is odor and stain resistant and easy to clean. Van Ness Regular Litter Scoop is a cleverly designed litter scoop that is perfect for owners with few cats and litter pans of all sizes. This scoop features an ergonomic handle that makes an otherwise unpleasant task as easy as possible. HIGH SIDES CAT PAN. Stain resistant. Prevents litter spills. High impact plastic. UPC : 079441004922. Color : ASSORTED. Size : LARGE. Length : 18.5. VAN NESS PRODUCTS. Durable plastic with built-in drawstring tie for simple closure. (15-Count X 2 = 30 Total). DRAWSTRING EXTRA GIANT LINERS 15PK. Give us a shot and we will make sure that you will look to us again! Size:extra giant Pureness ebytra giant long handled litter scoop. Made from easy to clean, high impact plastic. Odor and stain resistant. Long handled litter scoop makes for easy cleaning. Ideal litter scoop for owners of small to large sized cat pan with a extra long handle. Litter Pan odor problem?. Van Ness has the solution: Zeolite! • Zeolite is a natural mineral that is able to absorb ammonia odors. FITS ALL VAN NESS ENCLOSED LITTER PANS. • For best results, replace your enclosed pan’s filter/s at least every 3 months. The Van Ness doublewide cat scratch pad is made from 100% recycled corrugated cardboard. Double-Wide Scratch Pad - Item No. Ideal owners of larger cats who want to protect their furniture while fulfilling their cat’s natural instinct to scratch. Ideally Sized for Large Dogs. Removable Lid for Easy Cleaning of Food Container. Includes 1 Zeolite F6 Air Filter for Litter Box. Smoke free, pug friendly household. This product may contain one or more chemicals known to the State of California to cause CANCER, BIRTH DEFECTS, or OTHER REPRODUCTIVE HARM. Double dish for dry and wet cat food. Single dish for water. Litter scoop and cat pan liners (12 Count). Five products make cat care neat and easy. Durable plastic with built-in drawstring tie for simple closure. (6-count). - Made In USA. Van Ness F6 Zeolite Air Filter, New, Free Shipping! Van Ness F6 Zeolite Air Filter, New, Free Shipping!. Condition is New. Shipped with USPS First Class Package. Van Ness Extra Giant Drawstring Cat Pan Liners provide the perfect solution to cleaning out your cat's litter box. These bags can be placed as lining to your cat's pan to simplify the process of cleaning and to prevent spillage from the pan into the bag. Best Used in an Enclosed Litter Box. Super Absorbent Premium Cat Litter. We always try to get it there the fastest way but at a fair rate as well. Does Not Contain Harmful Chemicals. This is one sealed zeolite air filter. Ask any questions. Ideal for clumping litter. Easy to clean. Product Overview Easy grip handle. Product Specifications. MPN: CP8HS. High Sides Reduce Litter Scatter. High Polished Finish That Is Odor and Stain Resistant. USDA certified organic catnip grown in the USA. (Check-Out Now! Guam, Puerto Rico, Virgin Islands, etc.). Hooded cat litter pan. Sifting no scooping. Up for your consideration is for a LOT Of 6 PURENESS LITTER FILTER ZEOLITE F6 NIP. The picture you see will be the actual item you will receive. (Ideal for cats who like to dig high sides reduce litter scatter. High polished finish that is odor & stain resistant & easy to clean. Made in the USA. Check-Out Now! Guam, Puerto Rico, Virgin Islands, etc.). This device is ideal for clumping litter, so there is no digging through the gravel with a scoop to remove waste because of the simple effective design. Its large size is designed specifically for bigger cats and multiple-feline households. Size:Small Pureness small cat litter pan. Ideal for kittens who benefit from easy entry and ebyit. High polished finish that is odor and stain resistant and easy to clean. we source only from manufacturers and distributors themselves! Removable Lid for Easy Cleaning. Dish Washer Safe. Periwinkle Blue Base. Item model number: AF3. #11 in Dog Automatic Feeders. Size:8-Ounce Ideal shallow wide bowl for cats. Kitchen- grade silicone non-skid base and made from 47% bamboo plant material that's safe for pets. Shallow, wide bowl, ideal for cats. #2 in Basic Cat Bowls. Van Ness Products Pureness Covered Cat Litter Box, Extra-Giant, 1 Box Enclosed cat litter pan. Drip shield to help prevent any leaks between the top and bottom cat box. 1 cat box that includes both top and bottom.